Trending: Mental breakdowns requiring intervention; physical altercations between relatives and friends (kicking, shoving, choking, punching); tool thefts; car prowls. 04-29 Title and paperwork stolen from unlocked vehicle in driveway on N 163rd. 04-29 Mentally unstable female being evicted from house under construction attacked officer. 04-29 Power tools stolen from locked canopy of truck at 178xx 5th NE. 04-29 Person in North City Safeway parking lot taken for involuntary mental evaluation. 04-29 Package stolen from porch 145xx 26th found at neighbor's house. 04-29 Jewelry stolen from public storage locker at 14900 Aurora. 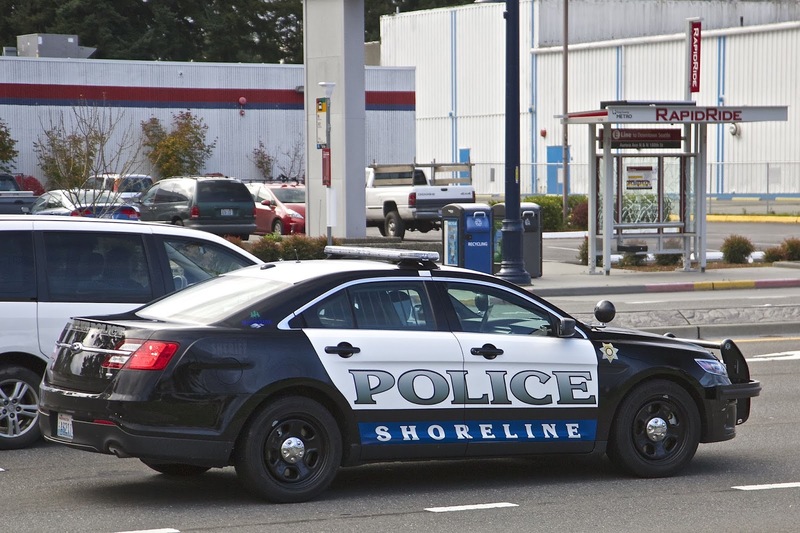 04-30 Large amount of tools stolen from construction site at Shoreline library. 05-01 Pistol stolen from vehicle parked at Office Max. 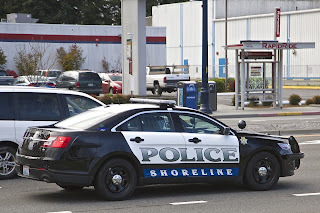 05-01 Tools, batteries, and cleaning supplies stolen from vehicles at Fircrest. 05-01 Tools stolen from work van parked at 175th Aurora Walgreens. 05-01 Theft from Y locker after lock was cut off. 05-01 Tools stolen from construction site at 172nd and Aurora. 05-01 Tools stolen from unlocked vehicle at residence on N 192nd. 05-01 Two suspects shoplift $100 worth of diapers from North City Walgreens. 05-02 Storage unit burglarized at Echo Lake apartments. 05-02 CPS asked for police to do a child welfare check. Officers found that kids had been wrestling. 05-02 Mother takes away 14 year old daughter's cell phone for skipping school; daughter kicks mother and leaves. 05-03 Condo resident alerts police to vehicle in parking lot with unconscious occupants. Drug overdose. 05-03 Illegal grow operation at 16th Ave NE. 05-03 House burglarized 160xx 6th NE. 05-03 Storage unit at Ballinger Commons broken into. 05-04 Two males arrested after being found inside a storage locker (not their own) which had been forced open at Ballinger Commons. 05-04 Tools stolen from construction site after lock cut on utility truck at 179xx Fremont. 05-04 Officer responding to a disturbance in apartment at Linden Highlands discovered 24 year old male and his juvenile runaway 14 year old girlfriend both had arrest warrants. 05-04 Driver referred to DOL for reevaluation after suffering a seizure while driving. 05-04 Checks recovered in Everett probably stolen from a Shoreline mailbox. 05-05 Male blocked the door of a Metro bus and refused to leave. 05-05 Commercial alcohol party in residential neighborhood at 18xx N 204th Pl. Entrepreneur holds party, charges admission, and serves alcohol to minors. Neighbors complain about noise. 05-05 Warrant suspect found in Echo Lake Park after dark turned over to Sno County Sheriff. 05-06 Person living in shed on property in unsanitary condition: bottles of urine, rotten food, garbage, and a heater. 05-06 Arrest made of suspect who slashed a female's tires and sprayed water into her house. How's that LEAD program working out so far? Not so great for law-abiding citizens, is it? Yesterday, in broad daylight, when walking into Rite Aid on 185th, a guy walked up to a $40 outdoor bench displayed out front, picked it up and walked away with it. That's how brazen thieves have become. Don't leave anything in your yard that can easily be lifted.